“The witch had a cat and very tall hat, and long ginger hair which she wore in a plait. How the cat purred and how the witch grinned, as they sat on their broomstick and flew through the wind”. 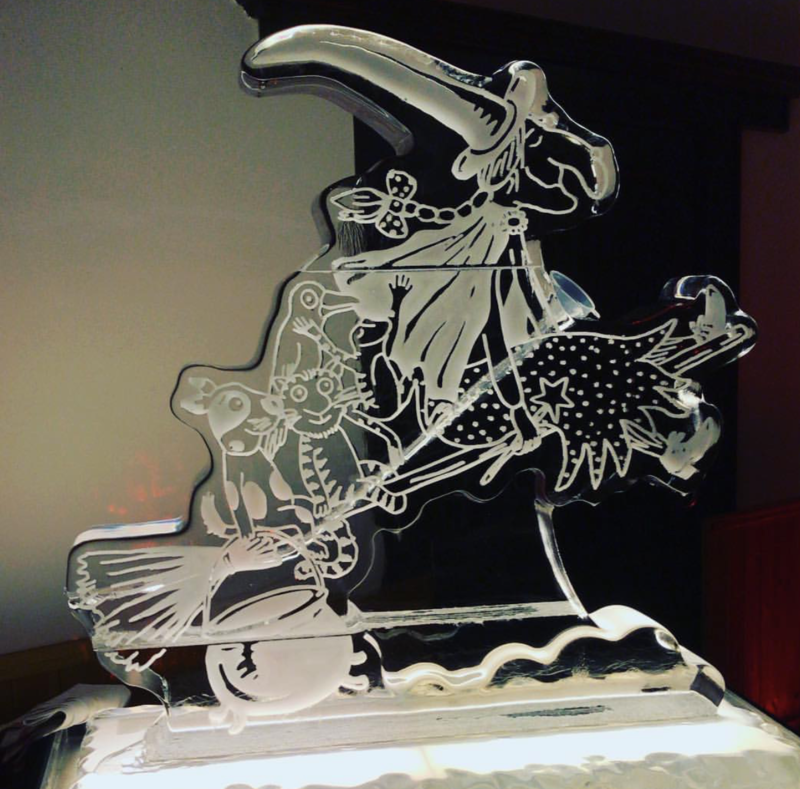 The ice sculpture was commissioned by Chessington World of Adventure to promote their Room on the Broom magical children’s experience – it’s also perfect for Children’s Parties or Halloween Events!